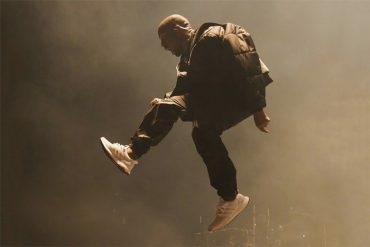 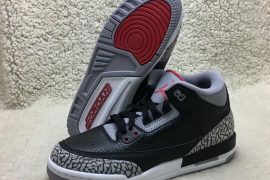 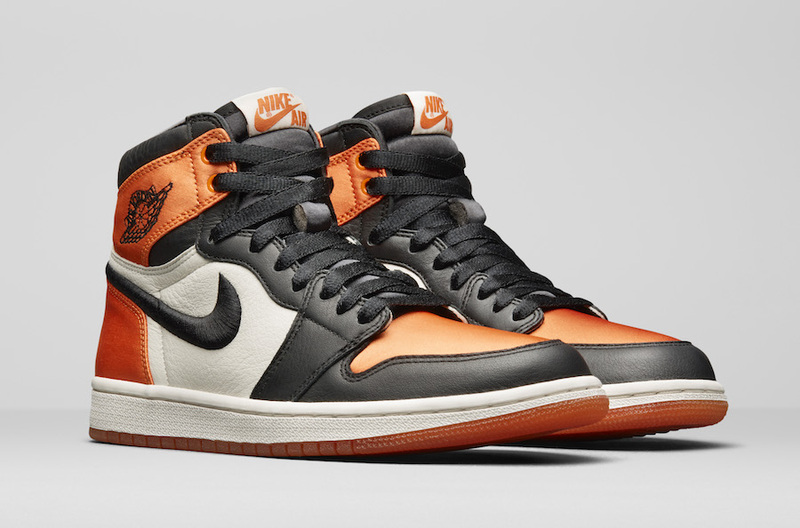 The never before seen colorway was initially released back in 2015 and became an instant classic. 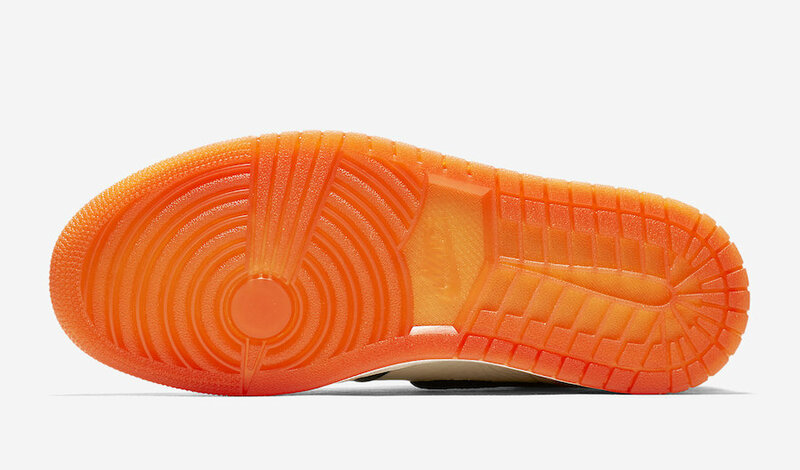 This time the colorway is back, exclusively for the CHX. 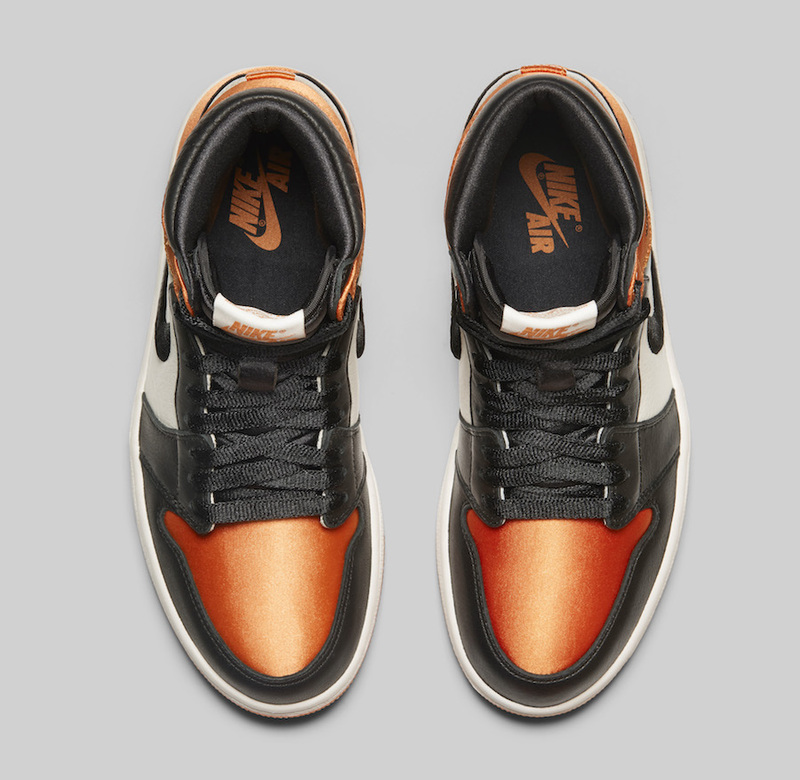 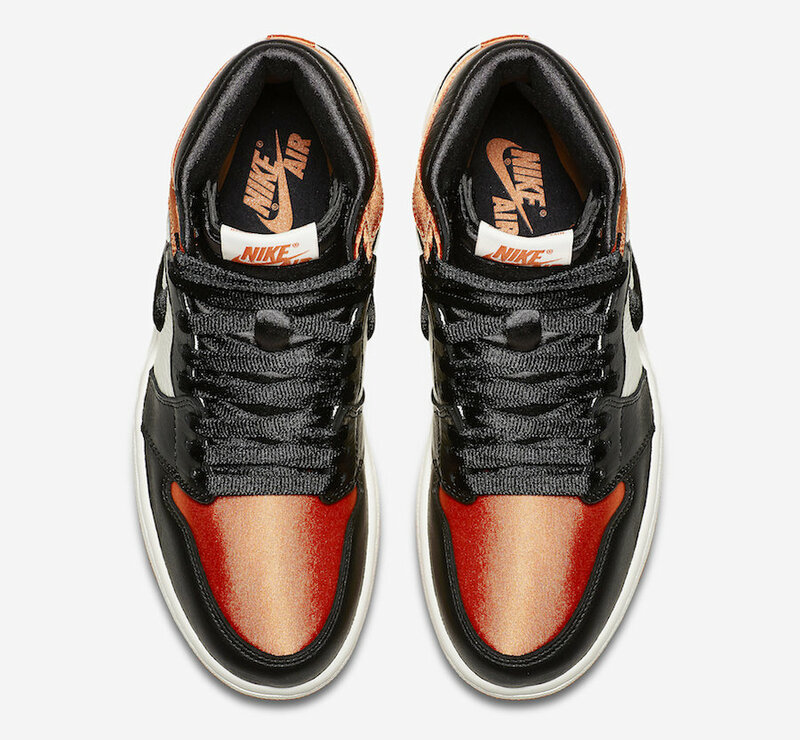 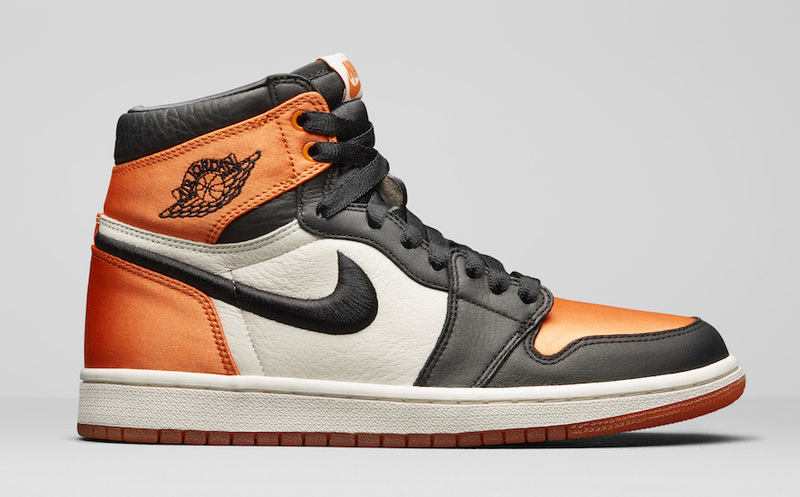 The OG shattered backboard colorway of black and orange comes adorned in the same premium tumbled Sail leather on the mid-panel, styled with new Starfish satin blocking. 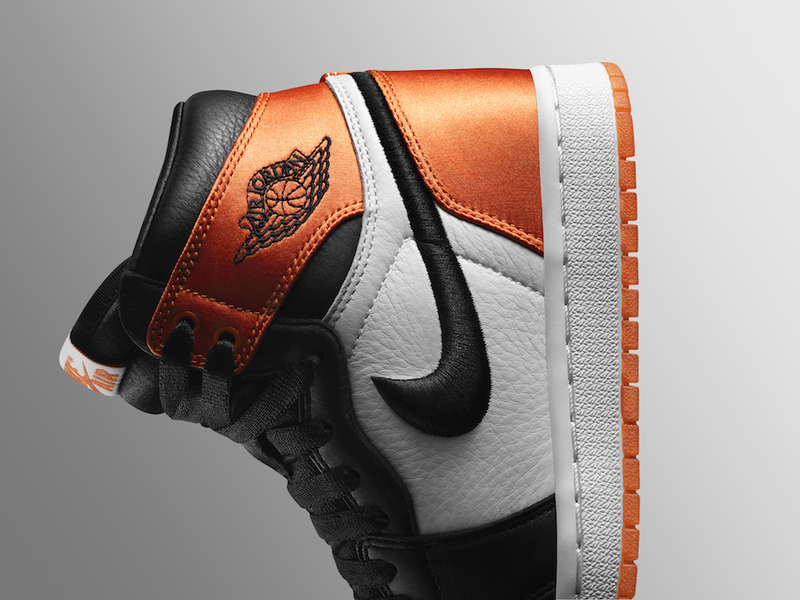 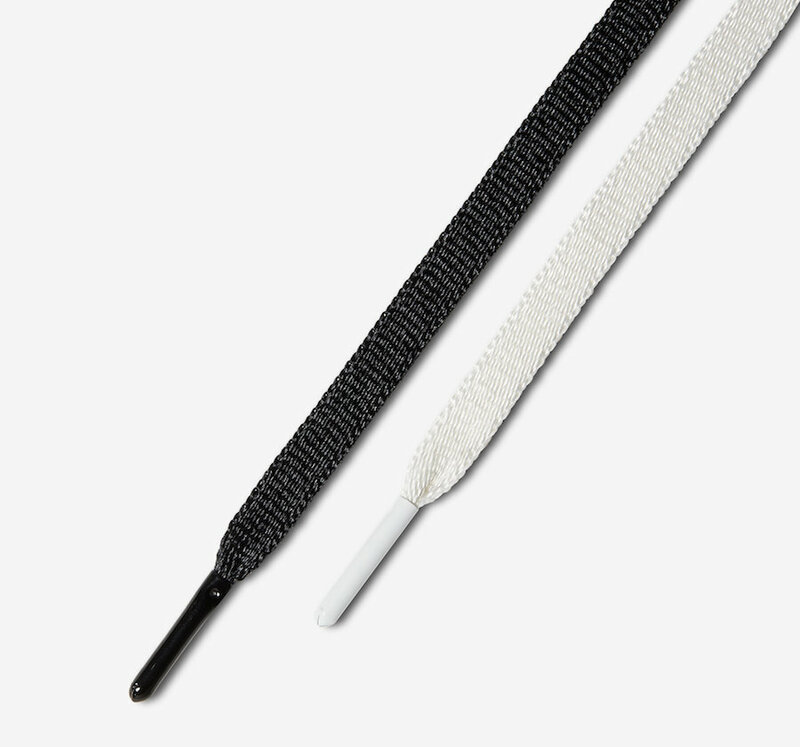 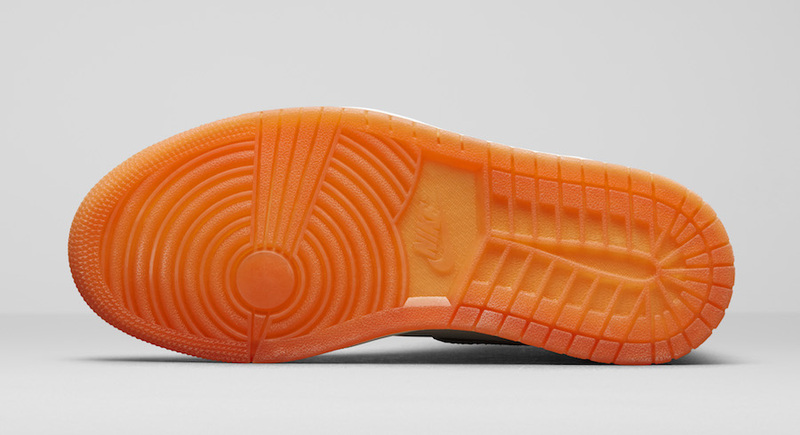 Additional features include an embroidered Black swoosh, a sail midsole, and a semi-translucent orange outsole. 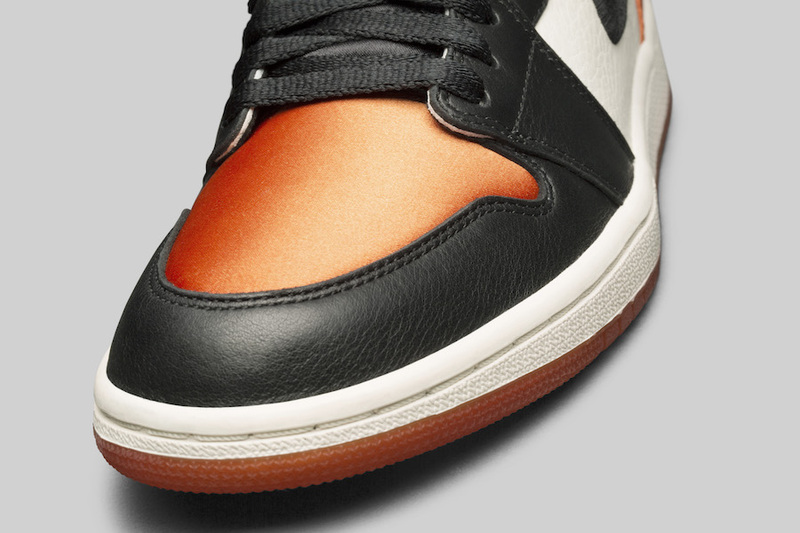 The Air Jordan 1 Satin “Shattered Blackboard” is definitely a luxury you want to add to your sole collection. 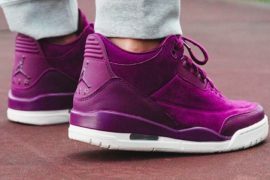 This women’s exclusive is set to drop on Cinco de Mayo, May 5th at select Jordan Brand retailers for $160 USD. 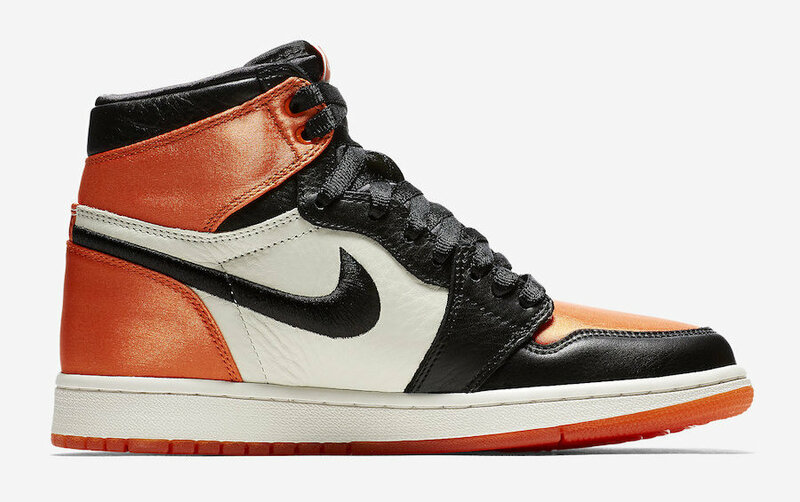 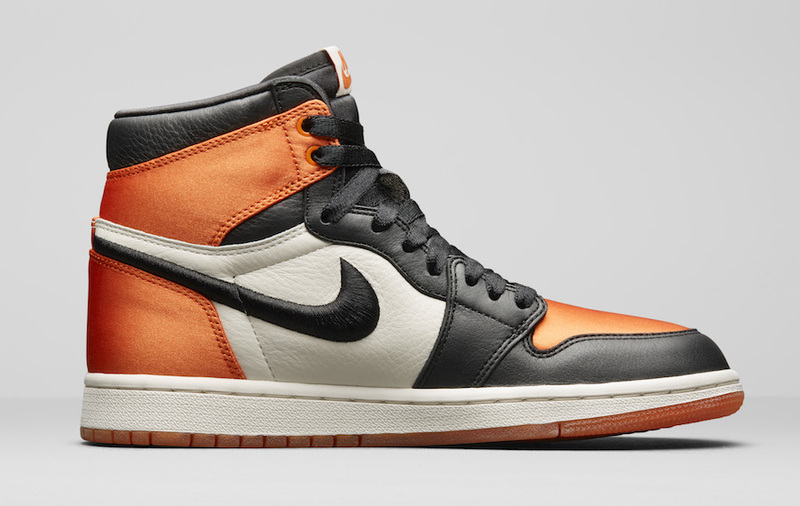 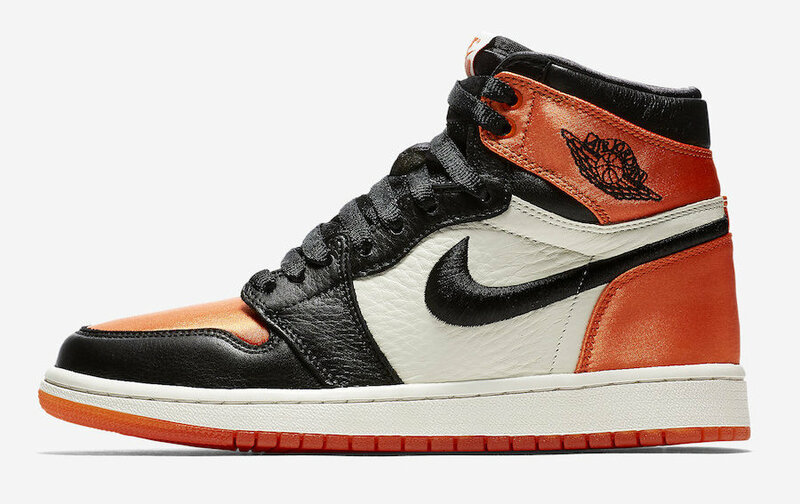 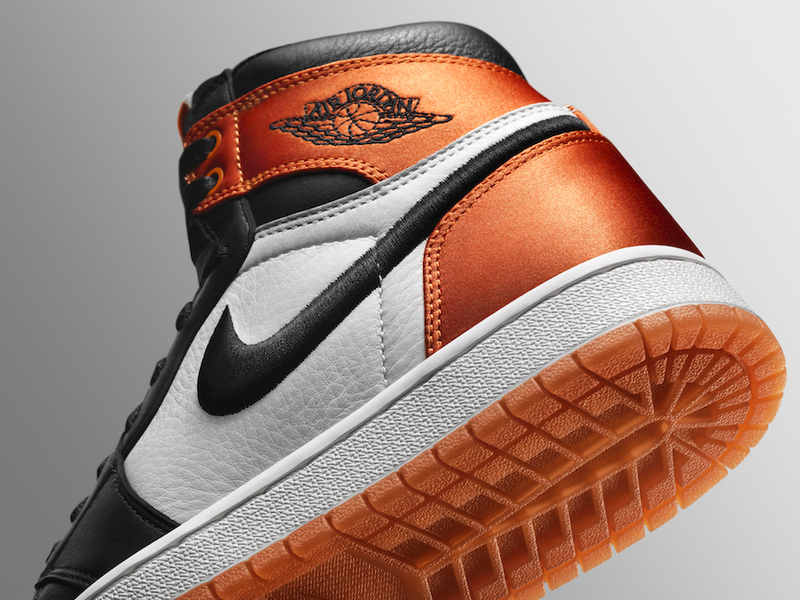 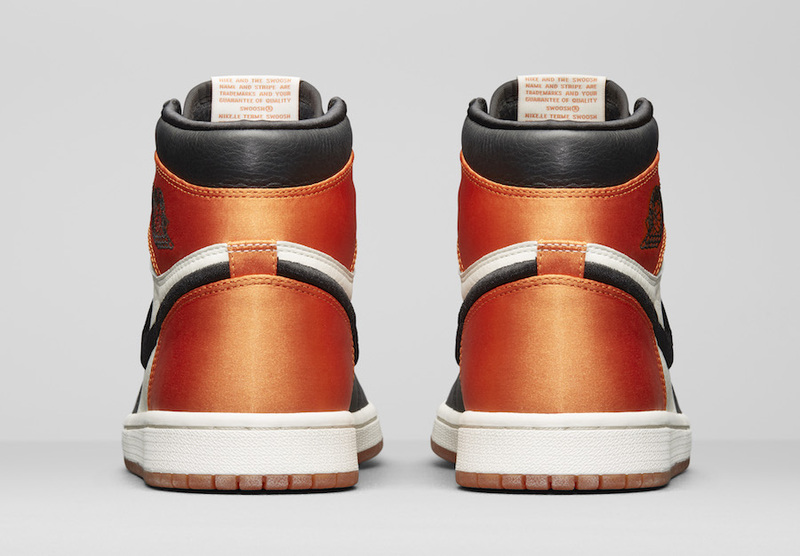 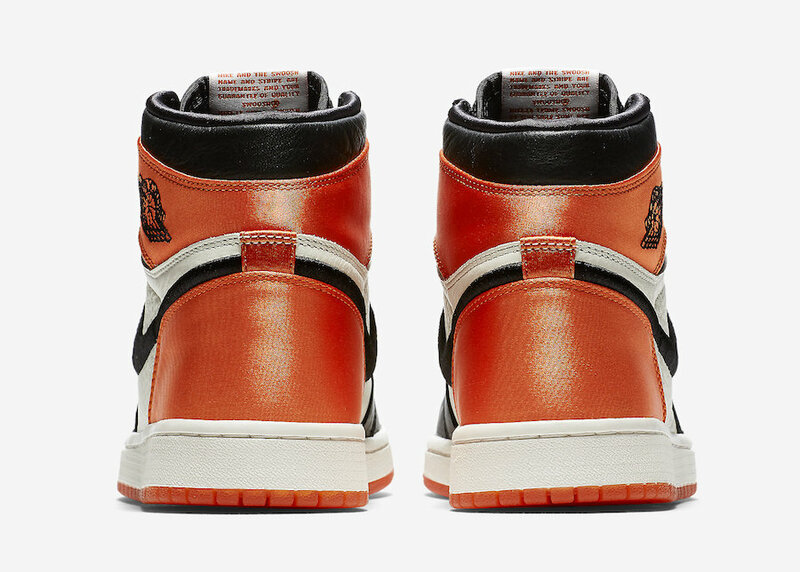 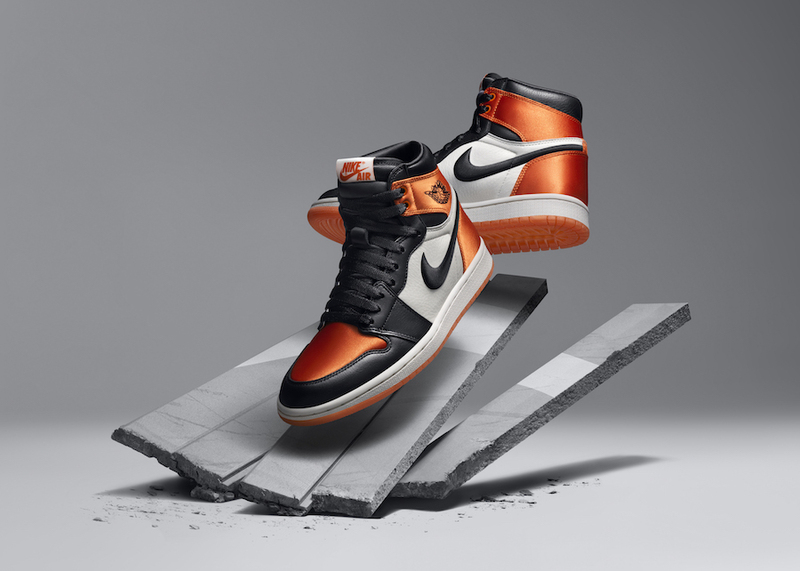 Jordan Brand releases official photos of the Air Jordan 1 Satin “Shattered Backboard” to release on May 5th. 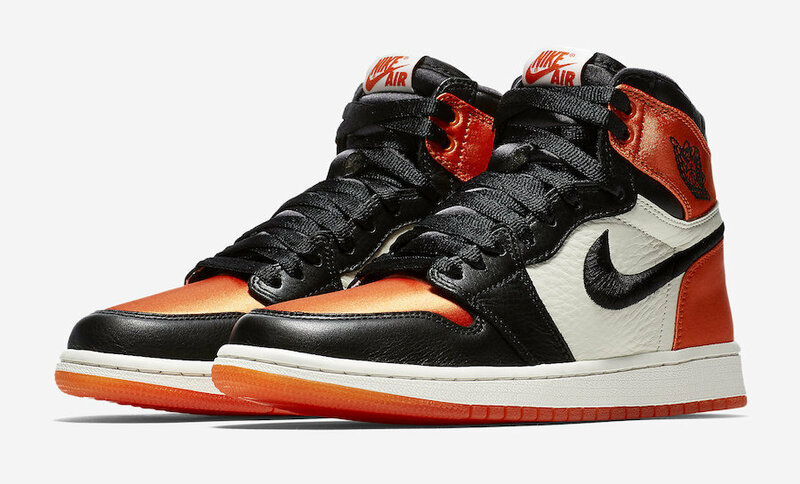 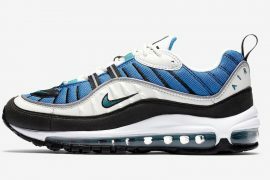 Luckily for the ladies this detailed silhouette will be available in larger quantities than expected while you can grab them in stores and online at mass retailers like Footlocker and Finishline as well as SNKRS.